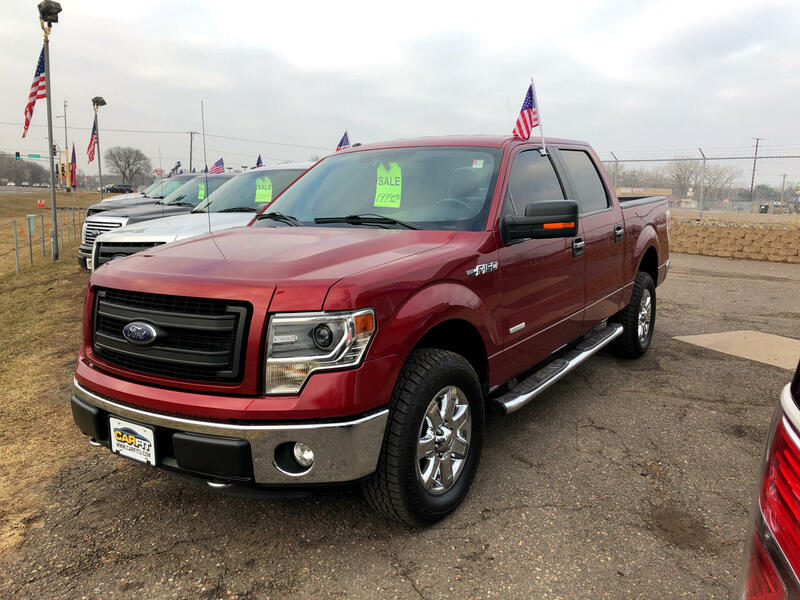 Used 2014 Ford F-150 4WD SuperCab 145" XLT for Sale in White Bear Lake MN 55110 CarFit! WHAT A GREAT DEAL ON A 2014 WITH ONLY 81K MILES. WHY PAY THE BIG STORE PRICES WHEN YOU CAN SAVE THOUSANDS ON THIS ONE. COME DRIVE IT AND YOU WILL BE TAKING IT HOME. TO SCHEDULE A TEST DRIVE CALL RICH AT 763-274-9654. WE TAKE TRADES AND HAVE FINANCING AVAILABLE.